Welcome to Amborela! 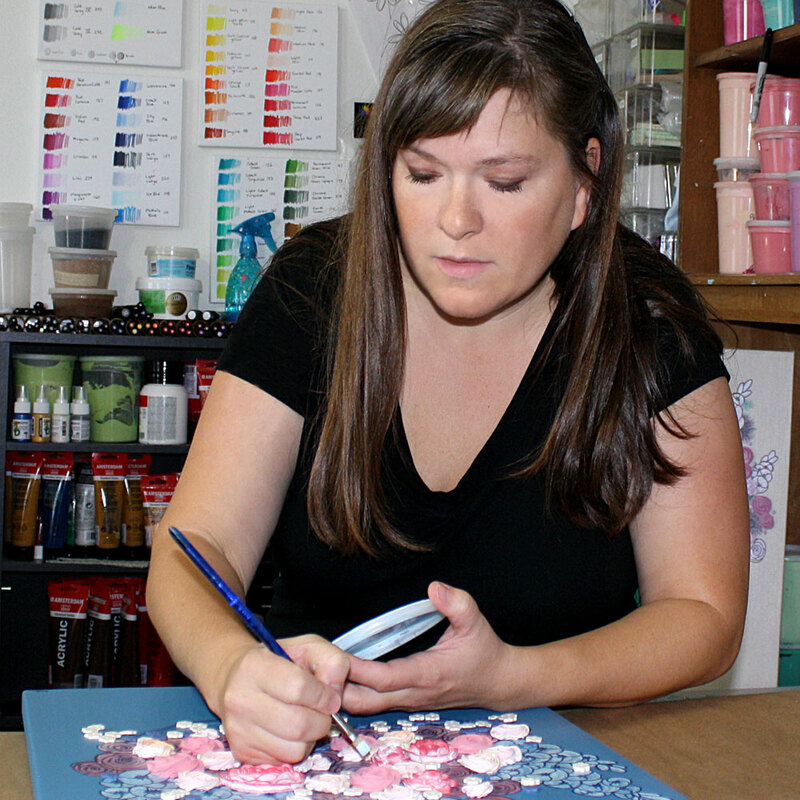 I’m Bethany Ogle, the artist creating the tree and flower paintings available exclusively at Amborela and Amborela’s Etsy shop. 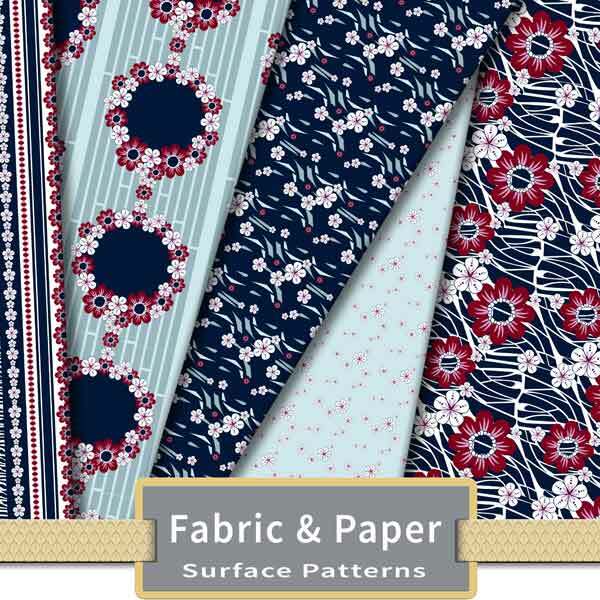 I also design surface patterns for fabric and wallpaper at Spoonflower. I started creating the unique style of Amborela paintings in 2008 from my small studio in Iowa. While I paint and sculpt mainly in acrylic, I also work with India ink, fabric, and other mixed media. 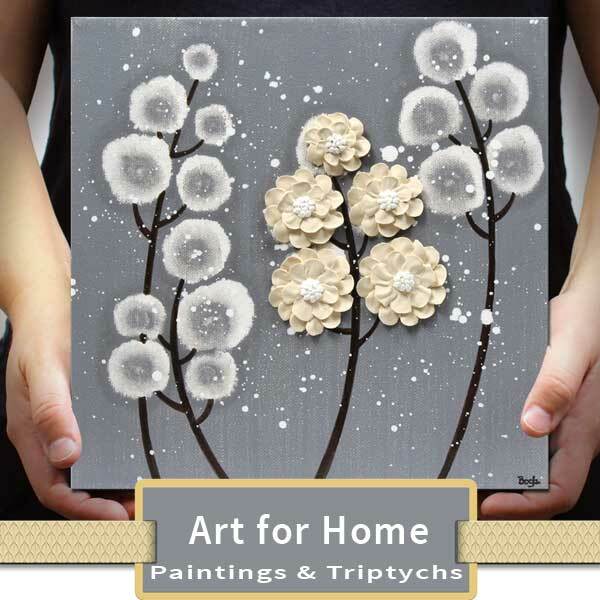 Some Amborela paintings feature hand-crafted flowers by artisan, Juja Crafts. My biggest project right now is create extra large designs for office wall art. The first in this new series of office art features teal, black, and red florals. More colors and designs are underway. I am also continuing to design more fabrics and wallpaper at Spoonflower to coordinate with my nursery wall art. The pink and gray collection is now complete, and includes an easy to sew baby quilt, pillow, wallpaper, and fabric coordinates. Lilac and gray nursery fabrics were released autumn 2018, and more coordinates will be available in 2019. You can also see what’s new at Amborela or get updates on Amborela’s facebook page. Get inspiration for your next decorating project with the home decor and nursery decor pinterest boards I curate. You’ll find nursery color schemes, how to instruction, gallery wall ideas, and more. Learn more about Amborela paintings.